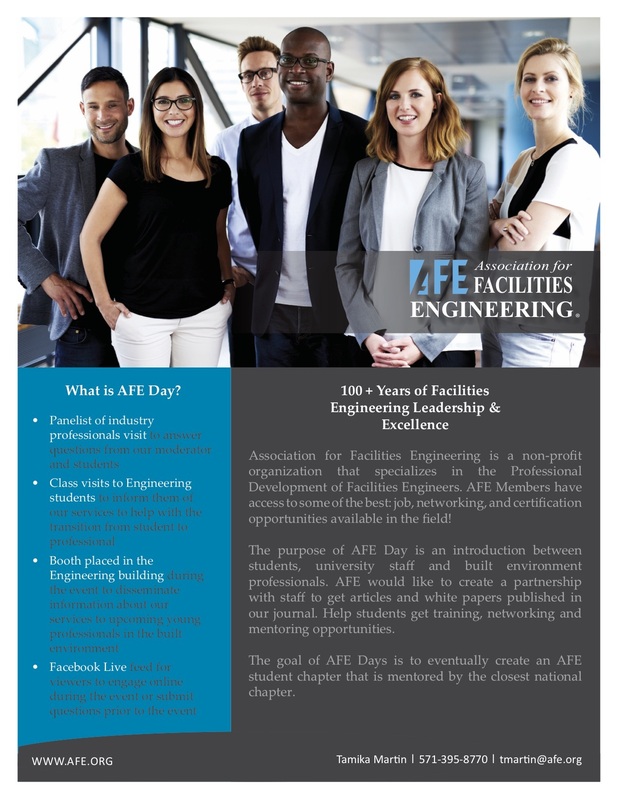 AFE creates connections with emerging and young professionals and their professors at AFE Day. We have an forum and meet and greet with Engineering, Architecture and Facilities Management students at various universities. Specific information will be sent to those that register! CEUs and CLPs available for member attendance and participation in these events.